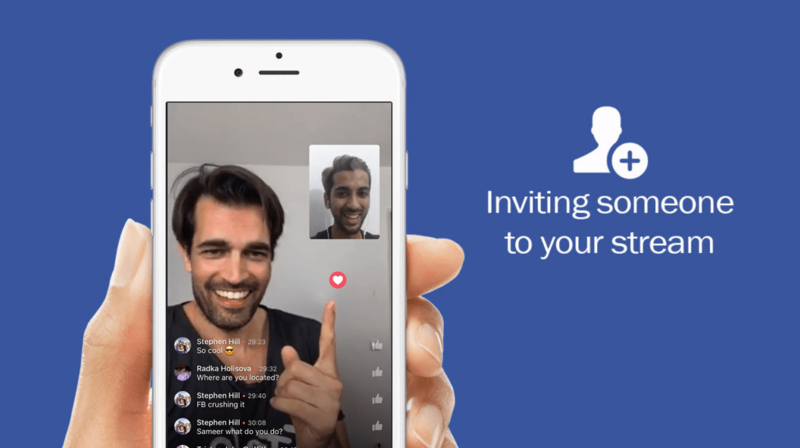 How to Join a Facebook Live Split Screen ? Before jumping in right away, you should know the requirements to do it. Since having another person with you on your live stream is relatively new, it’s only available to those who are using an iPhone. Yes, let me be clear, an iPhone only. Other iOS devices at the moment do not work, nor do Android devices – but I’m pretty sure they’ll update it soon enough. this is great! thanks for this. One question I have is how does this differ in private groups? Can the guest’s friends still see that they are live or no? Can you share this video outside the group after it’s been LIVE? I love my private group but I’m noticing some restrictions that don’t allow content to be distributed outside the group and wondering if there is a way to get around that. thanks for the super helpful video! That´s true Lindsey. In a private group the content can´t be seen outside the group. 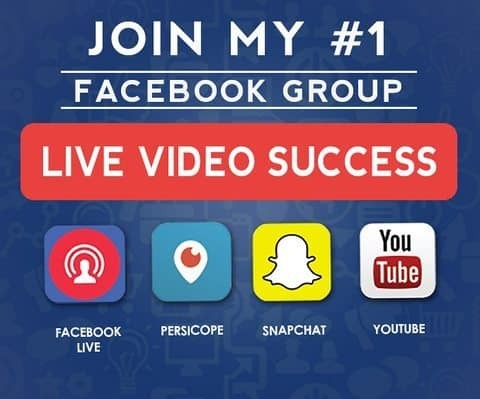 I am having serious trouble adding guests to my FB live events. Some can join and some can’t. Trying to figure out why! I haven´t heard of this bug but sometimes facebook seems to be buggy when it comes to live video. However, they have a contact form where you can reach out to them. Is there a way to prevent people from joining a live broadcast? If using it on Landscape it tries to turn it Portrait. Hi Joseph, Great question. You can block viewers during a live broadcast by tapping the profile picture next to a viewer’s comment and then tapping “Block”. You can also unblock someone that you’ve previously blocked. However, if they don’t make a comment, there is no way to block them but you can adjust before you go live, if only a specific group or people can see the broadcast. But there’s no specific way to stop them from trying to join? I don’t necessarily want to block people, just to make sure they don’t try to invite themselves. Ok I’m confused….I was able to join a live with my Ipad Pro then a couple days later could not join. Is it truly just for Iphone still? Really strange that I could join one day and not the next. I am definitely not able to invite as I do not get the option. I am able to add a guest when going live on my iPhone, but when I go live on my iPad, I am unable to swipe to the right to add guests. Is there any specific reason or does anyone else have this issue? Is there a way to make it possible so that the person invited to be on the live stream can only be heard but not seen by live event viewers? For example, if a therapist wanted to do a FB Live counseling session with a patient and be both audible and visible to viewers, but make it so their patient is only audible (not seen by FB live viewers) but still visible to the therapist? Hi, what sort of iphone do I need to use this feature of adding someone else to my LIVE Broadcast successfully? Is an iphone6s suitable or do I need an iphone 8 – 8 plus? Thank you. Also what is a mentions account? Any idea how to make it 1/2 and 1/2 stem rather than the little box in corner?